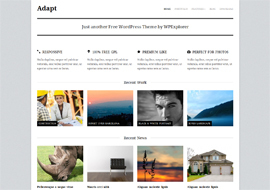 Adapt is a free WordPres theme that features a very clean and elegant business/portfolio style design that is also fully responsive. Overall the theme is very minimal and super easy to setup. It comes with built-in post types for your portfolio, homepage highlights and homepage slider, so adding your content is a breeze. 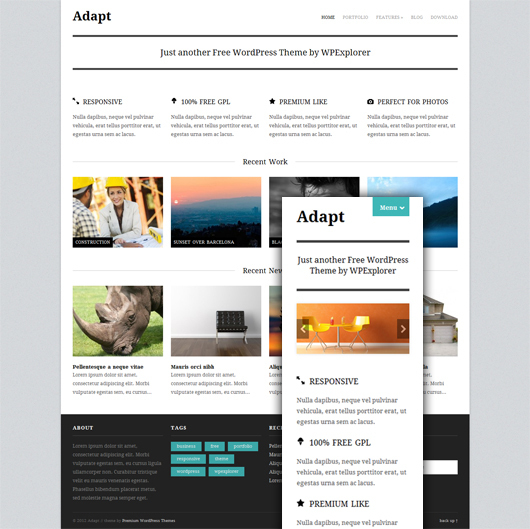 There are page templates for your blog, filterable portfolio, full-width pages and even a landing page template.